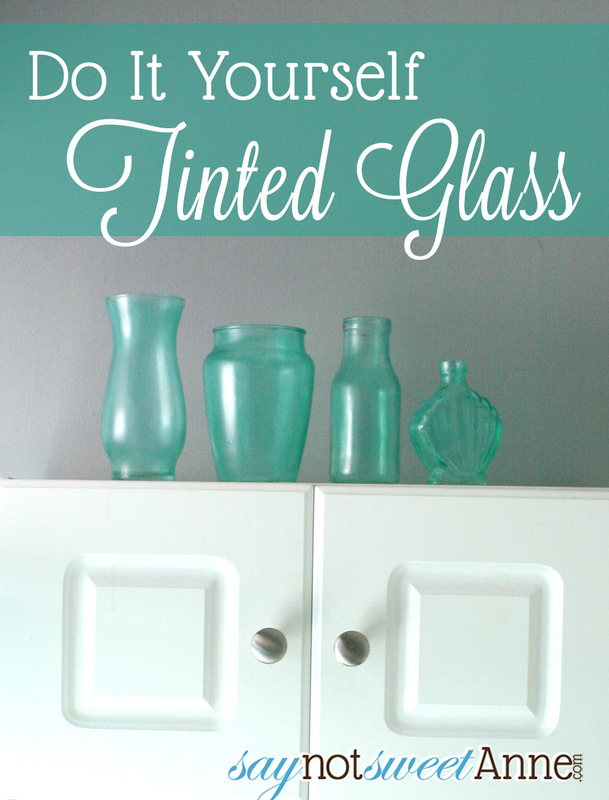 I’m sure you’ve all seen the beautiful images on Pinterest about making DIY tinted glass, or tinted mason jars. 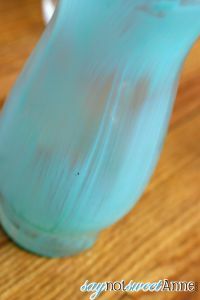 The recipe is simple: a little mod podge, a little food coloring and a jar. Sound easy right? Well, I’m not saying its impossible. And now that I’ve had some time to live with the jars I made using this method, I can honestly say I like them. They look good in my bathroom and I’m sure I’m the only one who knows the difference between how they look and how I want them to look. But my jars are anything but smooth. I’ve seen some instructions that say to dilute the podge before applying, and swirl it around on the INSIDE of the glass… but that just left drips for me. Anyway, so here is my version of the colored glass tutorial, and my results. 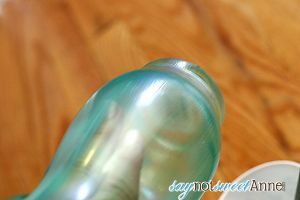 Start by prepping the glass with nail polish remover or acetone. This should help your mixture adhere better. 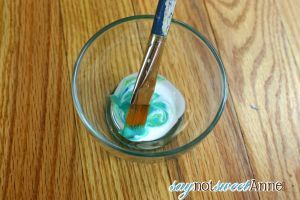 Mix up a concoction of mod podge with a little bit of the food coloring. Feel free to experiment with the ratios, but keep in mind you’ll have multiple coats and you might not want it too dark. 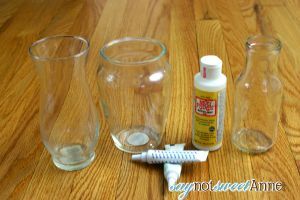 Using the soft brush, paint your mixture onto the glass. Be careful of depressions or ridges where your mixture might settle. I found that no matter how I applied the mixture, you could always see the brush strokes. They did even out a little as they dried, but it was by no means a smooth finish. Let the coat dry thoroughly and then repeat step 3 until you achieve your desired color. That’s it! 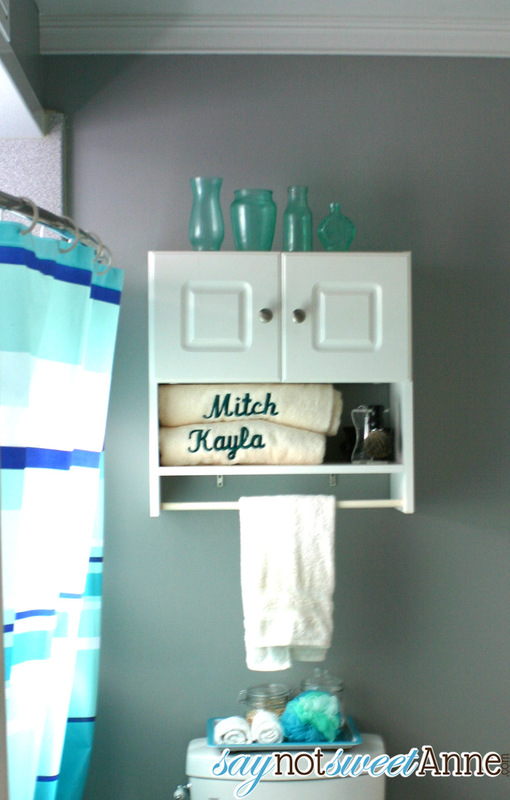 I did several pieces and put them in my bathroom. When the light hits them from the window they really are pretty, and I’m sure no one knows that they were painted. Still, I wish the finish was smoother. I will say that they have held up extremely well in the heat and humidity of the bathroom! I love the way that tinted glass can have an older look. That is awesome that you can get windows tinted for your home to created an antique look. I love your idea of using various glass shapes that will incorporate well into your home. They look great nice work!